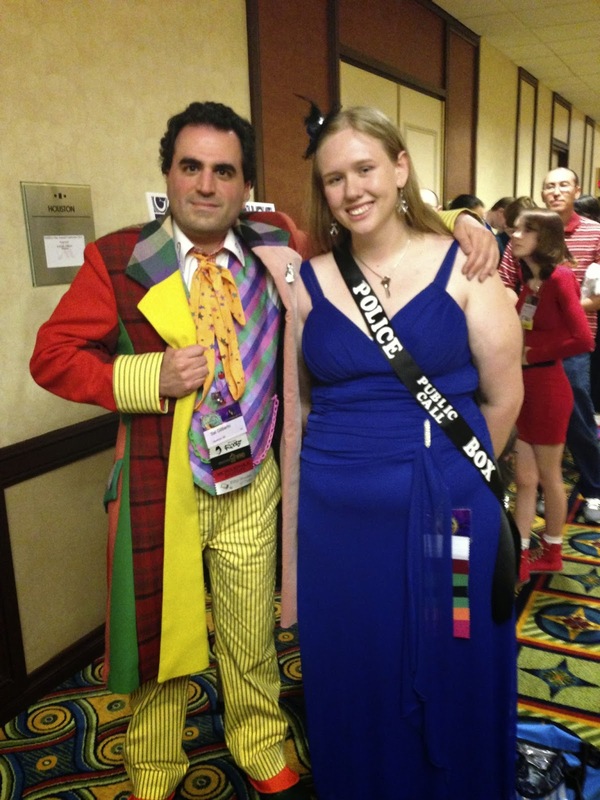 My friend Sal, Who I made an Ultimate Six Frock Coat for (he was in the Photo-shoot I did with three of my Six Coats), has sent me some of his pictures from Gallifrey One. This one is from the Thursday evening get together. I knew Sal would be in his Six costume, so I choose to wear my Eleventh Doctor cashmere number to as to not steal his limelight. I’d have plenty of time to west mine. 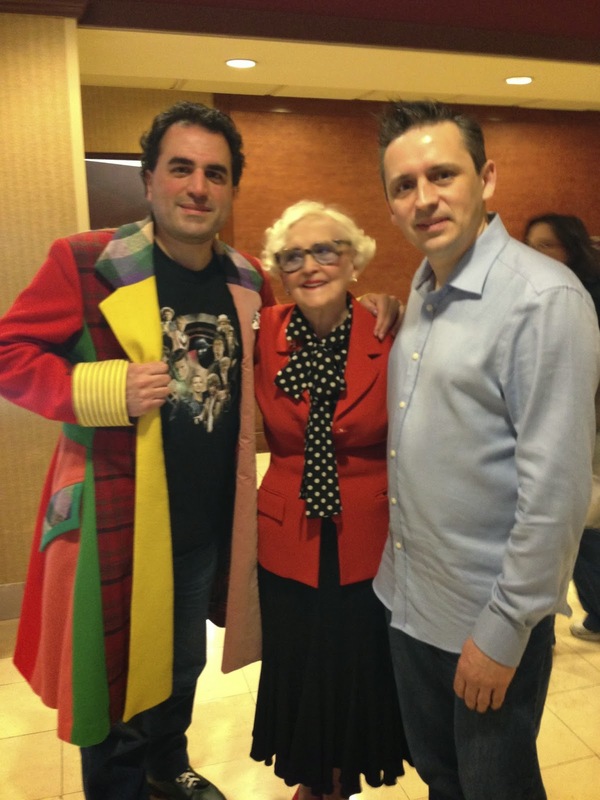 Here he is with an Eleventh, First and Fourth Doctor cosplayers. There is always a TARDIS on hand for a good photo opportunity - and Sal didn’t pass the chance up. These days at conventions there are always a number of girls dressed as TARDISs! 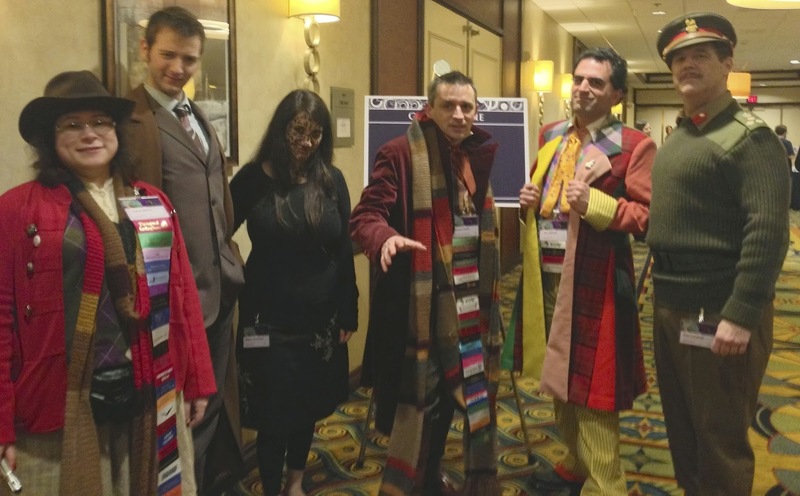 He thoroughly enjoyed wearing his coat around the convention, and was unsurprisingly stopped for photos all the time. This last shot is from the Monday morning when everyone was heading home. June Hudson had been a great sport over the weekend and was still more than happy to pose for a photo or two. If you’re wondering why Sal was still wearing his coat, he didn’t want to get it crushed in his suitcase so wore it on the plane home!